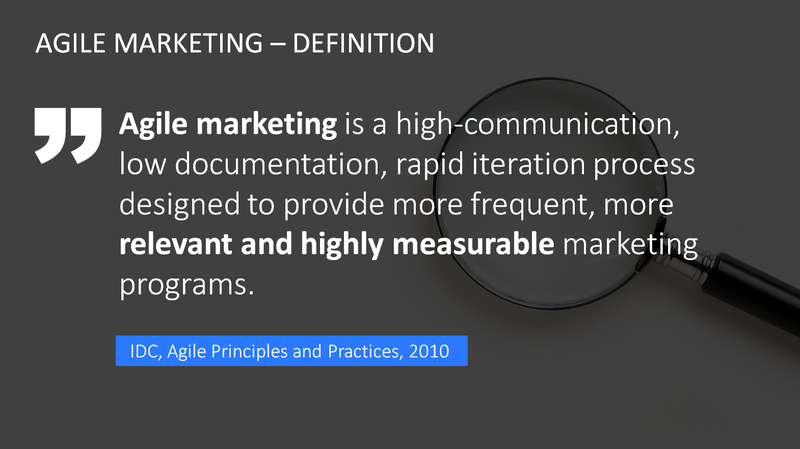 This is a brief outline, in terms of an always on presence, and how you can work with your marketing in an agile, data driven way. For the customer journey you can use the see – think. do care template I’ve made, or any customer journey template that suits you. See this as a roadmap for ongoing work that you can add and subtract to. The purpose of this is to give you an idea of how to get started and what can be included in the scope of agile marketing activities. The timeframe between the different evaluation points can be 2-4 weeks, depending on the scope of what you are doing and the amount of data and traffic you need to evaluate. Launch and gather test data for an amount of time which is specific to what you are doing – can be 2-6 weeks – depending on purpose, volumes etc. Evaluate you content – to identify content gaps.